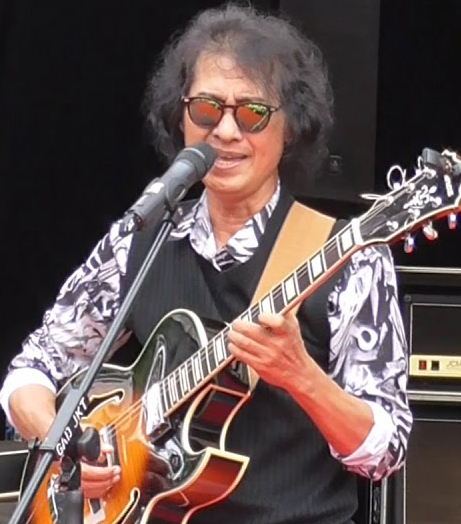 Mus Mujiono - born in Surabaya, East Java, March 15, 1960 is an Indonesian jazz musician. Nono, as it is called is very fond of music and controls almost all musical instruments, from keyboards, drums, guitars, saxophones, except trumpets. 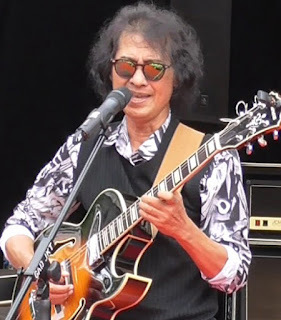 Nono also earned the nickname as 'George Benson Indonesia'. Nono is great in the family of musicians. His father is a keroncong musician, while his brother, Mus Mulyadi, is also a keroncong singer. Since the sixth grade of elementary school, Nono has learned the guitar. One of his teachers is Harris Sormin of the AKA band. 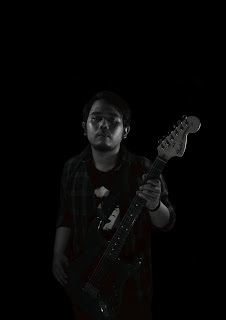 His ability to play music is very compelling, even diusianya new 18 years, Nono has recorded with his band, The Hands. Nono's popularity lifted with The Hands, his music group. They are very famous especially with the song "Hello sayang". Unfortunately soon they were disbanded. Nono was solo career and to produce seven albums. Nono learns jazz from Jun Sen, the leading jazz guitarist from Surabaya during Bubi Chen. From musicians who are also entrepreneurs of musical instruments that he began to recognize various jazz theories. Nono also learns private classical guitar, in order to read the notes well. In the 1980s Nono was interested in George Benson, because of the simplicity of his guitar playing. 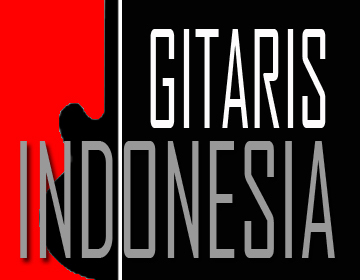 At that time most guitarists ngerock with a variety of strange effects, in contrast to George Benson who only use the mouth only. Therefore, Nono began studying scating techniques that are characteristic of George Benson. After pursue the "jurus-jurus" George Benson style, Nono many offers to be musicians in various media an join the other musicians. Nono is invited to join Jakarta Power Band. Finally, Nono migrated to Jakarta which has become his obsession. In 1995 with Glenn Fredly (vocals), Inang Masalo (drums), Yance Manusama (bass), Eka Bhakti (keyboardist) and Irvan Chesmala (keyboard), stood the Funk Section, with Nono on guitar. They made their debut album titled "Terpesona". The album was not a success, nor did the band exist. In 2004, with Canizzaro's group released the album Reizzarnasi Canizzaro which relies on the song "seperti dulu" (by presenting Trie Utami as a guest star). Nono also invited Borobudur Jazz Festival 2016, in 2018 invited by Kompas Gramedia as a guest star.